Christopher Williams is President of Balfour Beatty Communities. Mr. Williams is responsible for the company's strategic direction of its residential business, long-term development and oversight of investments, management and operations. Mr. Williams is also a member of the Balfour Beatty Investments divisional management team and serves as President of the Balfour Beatty Communities Foundation, a non-profit serving military service members and their families as well as residents residing in a Balfour Beatty Community. Mr. Williams has spent more than 28 years in the real estate industry with a diverse background in value add construction/renovation solutions, project development and financing, management and residential operations. Prior to his current role, Mr. Williams was responsible for military and student housing development services at GMH Communities Trust. Teresa Edelman is Chief Operating Officer for Balfour Beatty Communities, responsible for overseeing community management, operations, maintenance and resident services across the Company's housing portfolio. Previously, Ms. Edelman served in a similar position with GMH Military Housing, the military housing division of GMH Communities Trust. She also served as Vice President of Residential Management for GMH Capital Partners, LP; as Director of Residential Properties for Trammel Crow; and Senior District Manager for National Housing Partnerships/Apartment and Investment Management Company. Anne-Marie Niklaus is Senior Vice President of Community Management for Balfour Beatty Communities, with overall responsibility for the delivery of property management services across the company's military housing portfolio. Ms. Niklaus is a vastly experienced residential property management professional with a diverse background that includes a divisional vice president role with Madison Apartment Group and regional property management responsibilities for AIMCO/NHP Management, Inc. Her extensive industry work includes active participation in the Institute of Real Estate Management (IREM) where she is currently a Regional Vice President and a National Governing Counselor. She also maintains both a Certified Property Manager (CPM®) and Accredited Residential Manager (ARM®) designation. Linda Bradley is Senior Vice President of Operations and Chief Services Officer for Balfour Beatty Communities, responsible for managing operational budgets and forecasting, evaluating operational systems, continuously reviewing process improvements as well as overseeing all operating systems, including internal application business support and new technologies. Ms. Bradley also participates in vendor negotiations to ensure cost-efficiency across the portfolio. Ms. Bradley has worked with Balfour Beatty Communities, formerly GMH Military Housing, for more than 20 years and has worked as Accountant, Controller and Business Manager. She currently holds the position as Treasurer for the Balfour Beatty Communities Foundation. Genevieve Bauer, Senior Vice President of Residential Operations, is responsible for overseeing Balfour Beatty Communities’ multifamily and student housing portfolio. Active in the residential housing industry for more than 20 years, Ms. Bauer holds extensive expertise in strategic property management operations with a particular focus on both military housing and conventional multifamily communities. Before joining the company, she served as the senior vice president of operations for WinnCompanies, where she oversaw property management for the company’s mid-Atlantic portfolio, consisting of 7,000 homes. Ms. Bauer is a Certified Property Manager (CPM®) through the Institute of Real Estate Management (IREM) and a Certified Defense Privatization Manager (CDPM™) through the Military Housing Lodging Institute (MHLI). Paula Cook, Vice President for Balfour Beatty Communities, has executive leadership responsibility for the Company's Navy Northeast and Army Southeast portfolio of military housing properties. Ms. Cook brings a wealth of knowledge and experience to the implementation and execution of property management, operations and resident service procedures. Ms. Cook’s background also includes a successful tenure as Regional Property Manager for the Navy Southeast project as well as more than 25 years of senior management experience in the Multifamily and Student Housing industry. As Vice President, Raul Martinez is responsible for providing executive leadership for most of the Company’s Air Force portfolio, as well as the significant Fort Bliss and Fort Carson projects. He has an extensive background in residential property management—specializing in military housing—that includes program implementation, operations and customer service. Prior to his current role, Mr. Martinez had a successful tenure as Regional Property Manager for Balfour Beatty Communities’ military division and brings more than 25 years of management experience in the multifamily housing sector. He also serves as Vice President for the Balfour Beatty Communities Foundation. 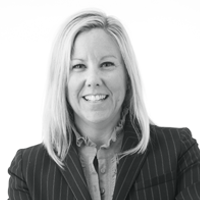 Lisa Dailey is Vice President, Business Development for Balfour Beatty Communities, with primary responsibility for the identification, development and growth of new business opportunities in the multifamily sector. Ms. Dailey’s 20+ years of experience includes branding and promotional planning, repositioning, marketing strategies, contract negotiation, and extensive market knowledge within the multifamily industry. Previous to her current role, she held the position of Executive Vice President at Incore Residential, and prior to that was Vice President of Business Development for Franklin Street Financial. Ms. Dailey holds a current Florida Real Estate Broker’s License and has a strong background in analytic trending and forecasting. Paul Hannan is Vice President Acquisitions, with responsibility for the pursuit and coordination of multifamily acquisitions and ground-up development opportunities. He specializes in identifying opportunities to deliver innovative solutions for the real estate industry, from property management to development and financing. Prior to his current role, Mr. Hannan worked in the Company's military housing business, where he was a key member of the team managing projects to design, build, renovate, finance and operate military housing through partnerships with the United States Army, Navy and Air Force. Mr. Hannan’s background also includes responsibility for the development, financing and management of senior housing assets for privately held and publicly held entities. Michael Price is Senior Vice President, Residential Transactions, with responsibility for the evaluation and coordination of multifamily acquisitions and ground-up development opportunities. He specializes in evaluating and structuring real estate transactions, as well as implementing strategies to optimize the Company’s real estate portfolio. Prior to his current role, Mr. Price worked in the Company's finance and asset management division, where he was a key member of the team managing projects to design, build, renovate, finance and operate military and student housing through partnerships with various entities. Mr. Price has more than ten years of experience in the real estate industry with a focus in finance, asset management and property management, having held previous roles in the student housing division for GMH Communities Trust. Prior to that, Mr. Price was part of the financial and market analytics team at Jones Lang LaSalle. Sean Kent is Senior Vice President of Construction and Renovations for Balfour Beatty Communities. He is responsible for leading the Construction and Renovation team in providing the highest quality housing construction and renovation services. Mr. Kent leads a professional group of construction managers, project managers and contract managers in the successful completion of projects on dozens of sites nationwide. From kitchens to home additions and from community centers to indoor pools, Mr. Kent’s team is well-staffed to succeed on any type of community construction project. Under his leadership, his team has grown from a medium sized ‘home renovation’ company to a sophisticated, forward thinking construction company with experienced professionals successfully executing residential construction projects from coast to coast. Mr. Kent has over 20 years of experience in project management, construction management, facility maintenance, design-build construction, building systems implementation and automation systems installation. Mr. Kent previously served as Director of Middle East Operations for Secure Global Engineering; and as Project Director for the Navy Region Northeast project for GMH Military Housing. Lieutenant Colonel (retired) Mark Lavin is Senior Vice President of Project Management for Balfour Beatty Communities, responsible for leading, planning, and executing efforts for the Company's privatization endeavors. Mr. Lavin is also responsible for supervising ongoing privatization projects and coordinating all team efforts involving design, construction and renovation activities for the Company's Army and Navy Portfolios. Mr. Lavin previously served in a similar position with GMH Military Housing, the military housing division of GMH Communities Trust and also formerly served as the Senior Project Manager for GMH Construction Services Group. Mr. Lavin retired from the US Army after 24 years of military service where his final assignment was as the Deputy District Engineer for Norfolk District, US Army Corps of Engineers. Louis DeRogatis is the Senior Vice President of Finance. He is responsible for all financial aspects of military and student housing privatization projects at Balfour Beatty Communities, from the business development phase through transaction close. Mr. DeRogatis also oversees the company’s Asset Management Group which is responsible for monitoring performance on all military housing projects with a value in excess of $4.5 billion. Mr. DeRogatis has 20 years of experience evaluating and structuring real estate transactions. Previously, he served in similar roles for the military and student housing divisions at GMH Communities Trust. Prior to that, he was an Asset Manager with Real Property Consultants. Mark Jennings is Senior Vice President, Head of Project Finance North America with responsibility for the sourcing and structuring of finance for all Balfour Beatty transactions in North America. He specializes in the utilization of innovative low-cost finance solutions in the real estate and infrastructure industries. Mr. Jennings also has responsibility for the financial asset management of the Balfour Beatty Investments portfolio in North America. Prior to his current role, Mr. Jennings operated in finance roles in Balfour Beatty Investments' London office and has wider experience in the financial services industry. Brian Chaya is Project Finance Director with responsibility for financial modelling and structuring of transactions across North America. He is experienced in structuring and modelling taxable and tax-exempt debt solutions across a wide range of industries and asset types. Prior to his current role, Mr. Chaya held an asset management role in Balfour Beatty Communities' military housing division overseeing the operational performance of its Air Force portfolio and modelling its new business pursuits. Kellie Ajjan is Senior Vice President of Human Resources for Balfour Beatty Investments, Balfour Beatty Communities’ corporate parent. Ms. Ajjan is responsible for the Company’s human capital strategy, including employee and labor relations, organizational development, performance management, staffing, talent management and succession planning. Prior to joining Balfour Beatty, Ms. Ajjan worked for AMETEK, a global manufacturer of electronic instruments and electromechanical devices, where she served as Director of Corporate HR. Ms. Ajjan brings extensive knowledge and experience to the team, with a diverse background that includes roles in operations management, as well as finance and acquisition analysis. Leslie Cohn is Executive Vice President and General Counsel for Balfour Beatty Investments, Balfour Beatty Communities’ corporate parent. Ms. Cohn has overall responsibility for the company’s legal function, including transactional, finance and compliance issues. With an extensive background in registered equity and debt offering and private placements, Ms. Cohn specializes in strategic legal services for the real estate sector. Prior to her current role, Ms. Cohn was a member of the legal team for GMH Communities Trust, where she was responsible for corporate, securities and transactional matters, as well as corporate governance and public reporting requirements. Prior to joining GMH, Ms. Cohn was an associate at Morgan, Lewis & Bockius LLP where her practice focused on corporate matters, mergers and acquisitions, securities and venture capital finance. Steven Curtis is Senior Vice President, Safety, Health, Risk Management and Environment, responsible for leadership and oversight of the Company’s risk management programs and assurance systems, including insurance administration functions, environmental compliance matters and safety and health governance. Mr. Curtis ensures the delivery of meaningful value to our clients while attaining the highest standards of quality, compliance and systems reliability. Mr. Curtis is a seasoned industry professional with more than 25 years of senior management experience and an extensive background in managing risk for large, complex construction, commercial and residential property projects. Mr. Curtis began his career with the Insurance Company of North America, where he was assigned to the Special Risk Facilities Division servicing the risk management needs of large national and international clients. Marina Dikos serves as the Senior Vice President and Chief Accounting Officer, responsible for oversight and management of the Company’s accounting and financial reporting processes and systems as well as the budgeting and forecasting process. Ms. Dikos is a member of the AICPA and PICPA, and is a licensed certified public accountant in Pennsylvania. Ms. Dikos brings over 20 years of experience having served in a similar capacity for GMH Communities Trust; as Senior Manager-Audit and Business Advisory Services practice of KPMG LLP; and prior to that as an Experience Senior Manager with Arthur Andersen LLP. Denise Hubley is Chief Financial Officer for Balfour Beatty Investments, Balfour Beatty Communities’ corporate parent. Ms. Hubley is responsible for overseeing the company’s accounting, finance, information technology, risk management, marketing and human resources functions. Ms. Hubley is also a member of the Balfour Beatty Investments divisional management team. A strategic corporate leader, Ms. Hubley has an extensive background structuring and negotiating complex financing arrangements and to date has managed more than $30 billion in debt placements. Prior to her current role, Ms. Hubley was responsible for the financial operations within GMH Capital Partners’ Realty Services, Asset Services and Construction divisions. Brian Morris is the National Facilities Trainer for Balfour Beatty Communities. He is responsible for facilities management training, as well as establishing and monitoring the execution of all related policies and procedures across the Company’s portfolio. Mr. Morris has been part of the Balfour Beatty Communities team for more than ten years and prior to his current role served as a Regional Facility Manager for the Company’s Navy and Multifamily properties. Prior to his work in facilities management, Mr. Morris served in the United States Navy for more than 21 years. Maureen Omrod, Vice President of Marketing and Communications, is responsible for overseeing Balfour Beatty Communities' corporate marketing and communications functions. Ms. Omrod has delivered strategic marketing and communications leadership in the residential housing industry for several years, and brings a resume of more than 20 years in marketing and communications operations with a background that includes extensive construction and government contracting industry expertise. She formerly served in a similar position for Day & Zimmermann, where she oversaw corporate marketing and communications for the global engineering, construction and defense contracting firm. Jennifer Shannon is the Vice President of Information Services, responsible for overseeing the Company’s Information Technology department and ensuring its operation aligns with the Company's business objectives. Ms. Shannon previously served as Manager of Business Information Technology Integration for GMH Communities Trust; and as Manager of Portfolio Administration for GMH Capital Partners.